In the middle of the day, and within the aisles of Shoppers Drug mart, an unprovoked random stabbing leaves Rosemary Junor clinging to life. In the days after the attack, the city became captivated by the manhunt for the beautiful, well dressed women, security cameras captured fleeing the store while the victim screamed for her life. 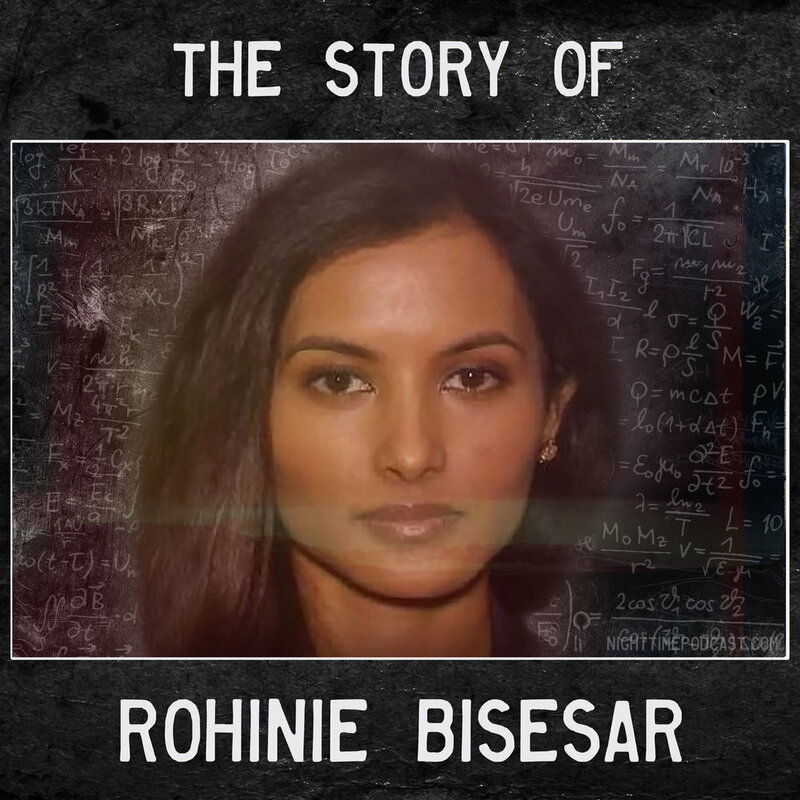 When the suspect is apprehended the story she told about nanotechnology and mind control would cement this case, and the name Rohinie Bisesar, among Canada's most bizarre crimes. In this episode, we are joined by investigative journalist Raizel Robin (author of 'What happened to Rohinie Bisesar') who helps share the bizarre story of Rohinie Bisesar and the unprovoked murder she is accused of.